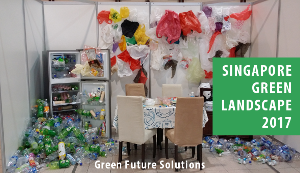 The third step to our 4 simple green strategies is to explore the demand for green products and services, be proactive to meet this need, and gain a competitive advantage by offering greener alternatives first, thus increasing your revenue. After adopting the previous 3 strategies, SMEs will be in a better position to build up their reputation and enhance their brand as a sustainable company. However, in your green marketing, it is important to avoid being accused of greenwashing – a term to describe the perception of consumers being misled by a company on its environmental practices or the environmental benefits of its products or services. To avoid being accused of greenwashing and prevent negative feedback from consumers and environmentalists, it is important to ensure that the green claims of your business are true. Acknowledge the areas of your business that are not yet green and commit to work on it. Engage your stakeholders, both internal and external, in a dialogue on your green marketing, and gather feedback from them on whether you’re on the right track or seen to be greenwashing. SMEs can enhance their brand as a sustainable company only after implementing the previous 3 strategies, and also have to ensure that their green marketing is free of greenwashing. We hope that the 4 simple green strategies will give SMEs some ideas on how to be more sustainable and help them start greening their businesses.